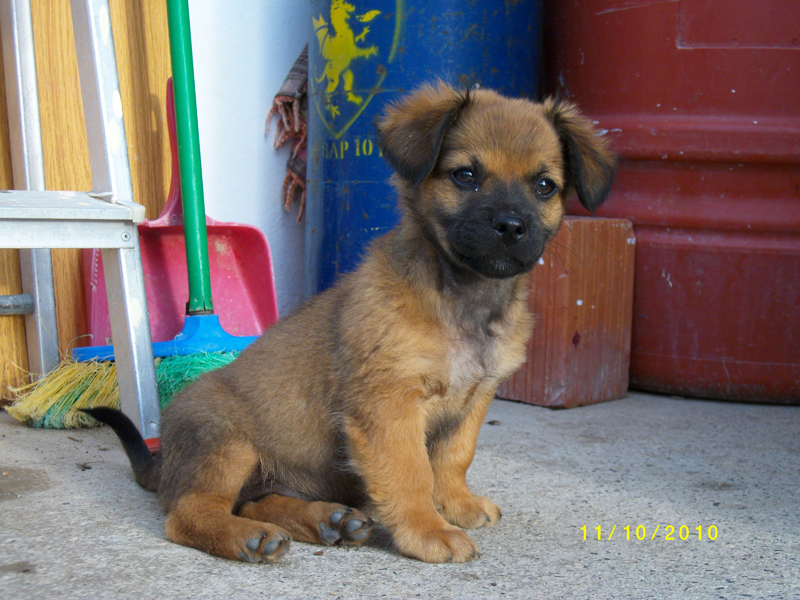 Oct 2010 — In September, three tiny puppies were found, abandoned in a parking lot in Katapola. Members of PMAA, the new animal society, took them in and are caring for them. Our new vet Dr. Despoti has given them a check-up and will be vaccinating them as soon as they are ready for them. We would like to find homes for them as soon as possible. 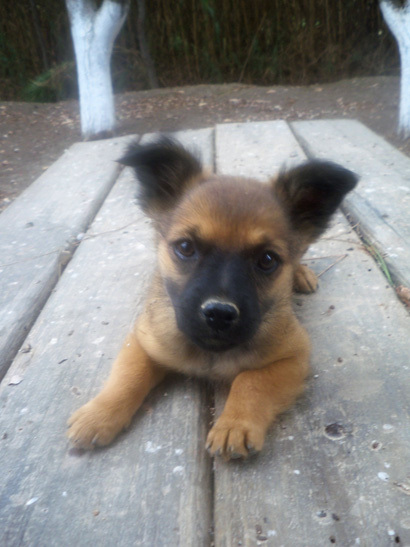 In fact, one already has been adopted to someone on Amorgos. The other two (pictured below) will be listed for adoption with our friends in Holland. If all goes well, we hope we will soon be filling out passport applications for the pups to travel to their permanent homes!